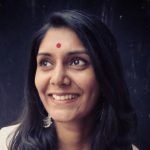 Winter is here and how! Slathering your body with lotion is all you must think of right now, and if you have dry skin, it is even more important to do so. Otherwise, there is only suffering. Now, you need not worry about that because we got your back here. Those with dry skin look like zombies (with the skin becoming rough and scaly) during winter if they do not keep their skin well moisturized. You must choose a well-formulated body lotion for dry skin that keeps the moisture intact and re-hydrates the skin. We have listed out the best 12 body lotions for dry skin in the market below for you to pick and choose. Go on and try one of these top-rated body lotions for dry skin before it gets too late. 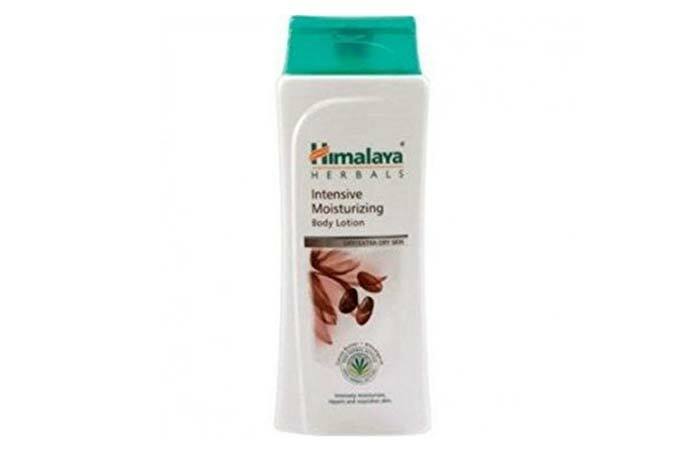 Himalaya Herbals Intensive Moisturizing Body Lotion repairs dry skin and makes it soft and supple. It effectively replenishes lost moisture to the skin. The body lotion contains cocoa butter, wheat germ, and grape seed oil that nourish and smoothen the skin. 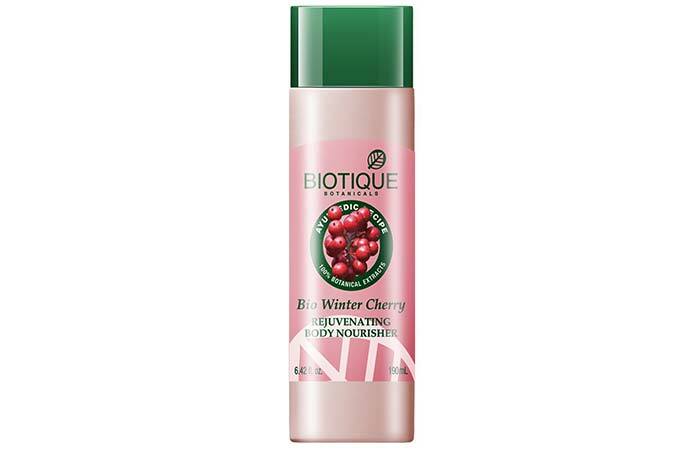 Biotique Bio Winter Cherry provides moisture and nutrients to the skin. It softens rough and dry skin and improves its elasticity. The body lotion contains pure winter cherry, musk root, and almond oil that improve the health and vitality of the skin. The Body Shop Shea Whip Body Lotion is a hydrating lotion that moisturizes dry skin and keeps it itch-free. The lotion’s whipped texture is smooth to apply, and the goodness of shea butter leaves the skin smooth and soft. 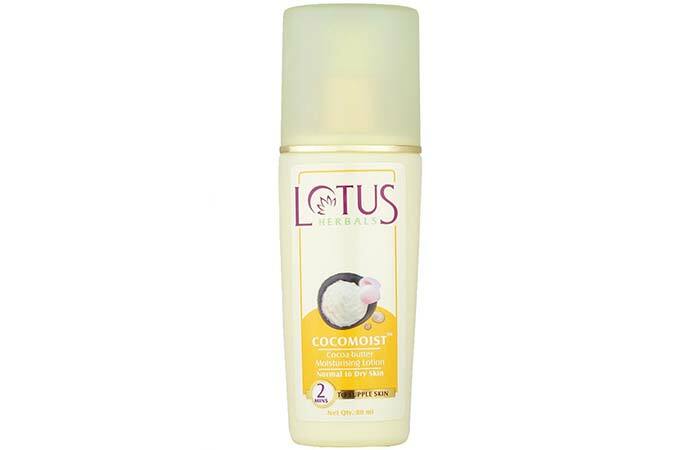 Lotus Herbals CocoMoist Moisturizing Lotion improves the moisture retention capacity of the skin and makes it silky smooth. The all-purpose body lotion maintains the pH balance of the skin and softens rough skin. 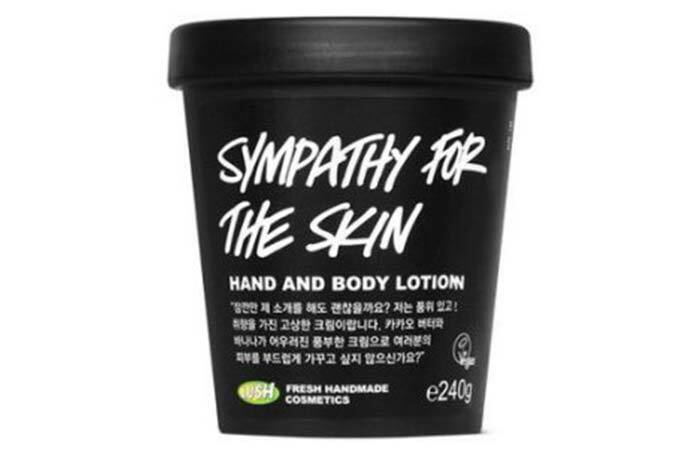 Lush Cosmetics Sympathy For The Skin Body Lotion makes the skin soft, soothes it, and takes care of the dryness. The body lotion contains organic bananas, cocoa butter, almond oil, and vanilla that nurture and nourish the skin. Jovees Himalayan Cherry Body Lotion is a highly concentrated lotion that treats dull, dry, and stressed skin by nurturing and nourishing it. The body lotion contains herbs and flowers that hydrate the skin. The lotion forms a natural barrier on the skin and protects it from harsh weather conditions. 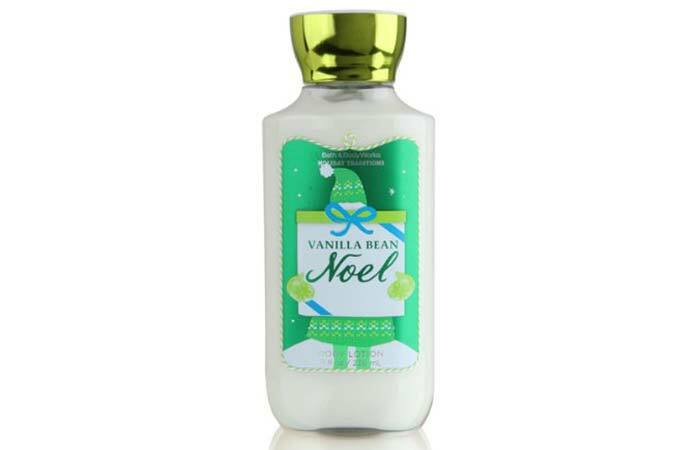 Bath And Body Works Vanilla Bean Noel Body Lotion is the perfect daily moisturizer that makes your skin soft and supple. The body lotion contains shea butter, jojoba oil, and vitamin E that protect the skin and leave it moisturized. Fabindia Wild Rose Body Lotion soothes the skin and protects it from irritation caused due to dryness. It calms and refreshes your skin. The body lotion penetrates deep into the skin and gently hydrates it. It contains wild rose, purified water, vitamin E, and shea butter that keep dry skin moisturized. 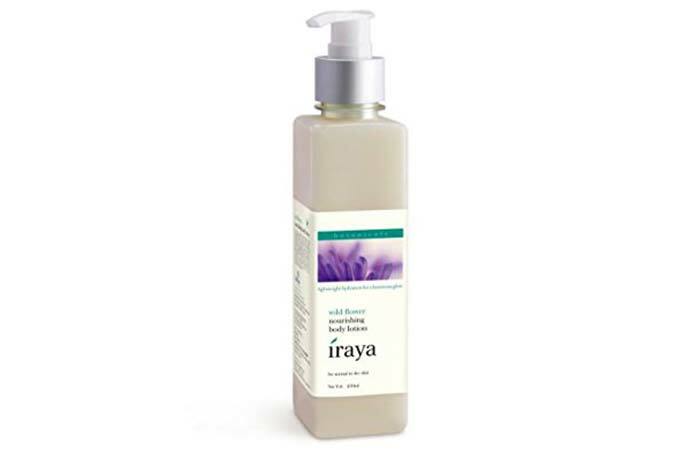 Iraya Wild Flower Nourishing Body Lotion hydrates, rejuvenates, and soothes the skin. It nourishes the skin and keeps it healthy. The body lotion contains aloe vera, basil, and saffron that brighten and nourish the skin. It also improves the regeneration of new skin cells. The Nature’s Co Marigold Body Lotion softens and smoothens the skin. It heals cracks, burns, and dryness. This is the best body lotion for dry skin as it contains marigold that heals and repairs your skin. Its anti-inflammatory properties protect the skin. 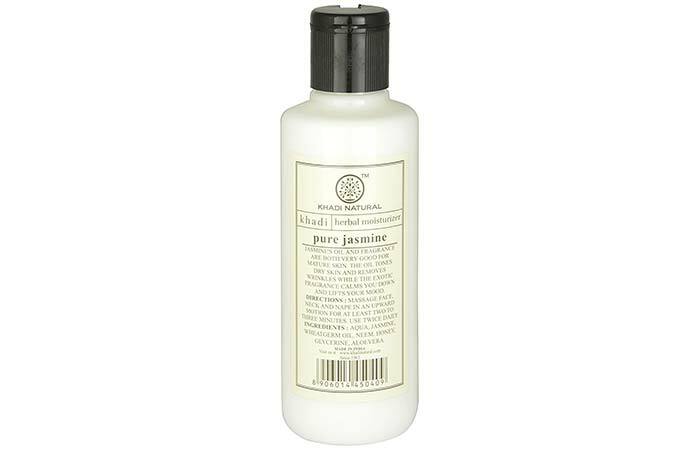 Khadi Natural Pure Jasmine Moisturizing Lotion moisturizes the skin and prevents aging. It tones the skin and keeps it free from marks. The body lotion contains aloe vera, glycerin, and jasmine oil that treat acne and irritation and protect your skin from pollution. 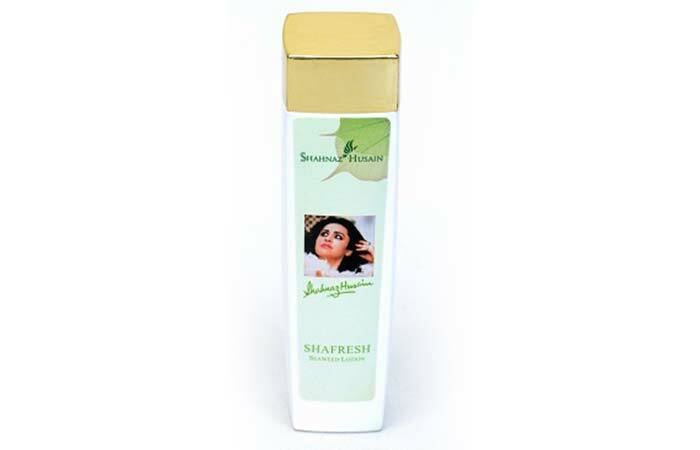 Shahnaz Husain Sha Fresh Moisturising Lotion hydrates and improves the texture of the skin. It reduces the signs of aging and keeps the skin soft. The body lotion contains herb and flower extracts that provide extra nourishment to the skin. Do you suddenly feel scratchy and itchy? That is because the winter season is here, and you need to up your moisturization game to beat it. To help you with it, pick one of the body lotions for dry skin listed above and start using it. How often do I apply a body lotion? Apply it every day. It works best when you massage it gently into the skin at night before sleeping. You will wake up to soft and supple skin. Can people of different skin types use the same body lotion? No, that’s not a good idea. Those with dry to normal skin should go for cream-based lotions whereas those with oily to combination skin should use water-based ones.